Attorneys - Casteel & Casteel, P.L.C.C. 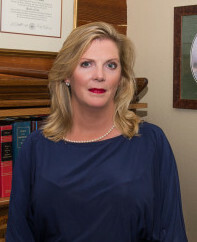 Carter primarily practices Family Law, handling divorces, adoptions, modifications, custody disputes, and more. Carter is also a certified Mediator helping families more effectively resolve legal disputes. Carter Casteel, Senior Partner of Casteel &amp; Casteel P.L.L.C., is a graduate of Monahans High School ‘61, University of Texas BA ’65, Southwest Texas State University ’73, and St. Mary’s University JD ’85. Barron practices Family Law, handling divorces, adoptions, modifications, custody disputes, civil litigation and more. He also handles Probate matters, Guardianships, Wills and Estates. He practices in Comal, Hays, Guadalupe, Bexar and Gonzales counties. Barron Casteel, a partner at Casteel & Casteel received his B.A. from Baylor University in 1993 and his J.D. from Quinnipiac College in 1997. Barron practices Family Law, handling divorces, adoptions, modifications, custody disputes, civil litigation and more. He also handles Probate matters, Guardianships, Wills and Estates. He practices in Comal, Hays, Guadalupe, Bexar and Gonzales counties. 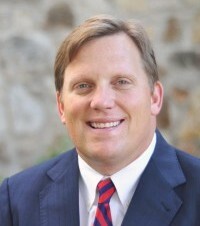 Barron is very involved in community activities and was elected mayor of New Braunfels in 2014. He is a member of the New Braunfels Chamber of Commerce Blue Coats, a member of the Elks Lodge, an Opa with the Wurstfest Association and serves on Wurstfest board. He has served and continues to be involved with the Sophienburg and NBISD Educational Boards. Barron and his wife Michele enjoy spending time with their two sons playing sports, camping, fundraising, hunting and fishing, floating the river and other outdoor activities. Cheryl Casteel, a partner here at Casteel & Casteel PLLC Attorneys and Counselors at Law focusing on Family Law, Wills and Estates, and Probate Matters. Cheryl Casteel, is a partner at Casteel & Casteel focusing on Family Law, Wills and Estates, and Probate Matters. Cheryl received her B.A. in Finance from SWT in 1985, her CPA in 1993, and her J.D. from St. Mary’s Law School in 2004. Cheryl has served as the City of New Braunfels Assistant Finance Director 1989-1993, Senior Auditor with Holtman, Wagner and Co. CPAs 1993-1996, Chief Financial Officer for New Braunfels Utilities until 2001 when she left to attend law school. As well as a partner with Casteel & Casteel, she served as an Attorney Agent and Escrow Officer for AmeriPoint Title in Bulverde until its closing in 2012. Cheryl is a Past Chair of the Greater New Braunfels Adult Leadership Steering Committee, a Past President of the New Braunfels Noon Lions Club, Past Chair of the New Braunfels Planning Commission Currently, she serves as a board member for Hope Hospice and United Way as well as Blue Coat with the Greater New Braunfels Chamber of Commerce. She is also currently a member of the Mid-Texas Symphony Guild. 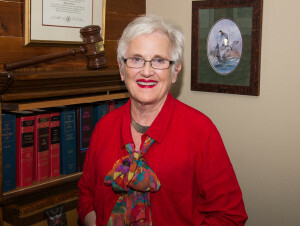 Cheryl enjoys working with her Mother and Brother, Law partners at Casteel & Casteel. In her spare time she enjoys traveling with her family. Her hobbies include water and snow skiing, fishing and hunting. Justin Hoffman, an Associate Attorney at Casteel & Casteel P.L.L.C., is a graduate of Southern Methodist University in Dallas, Texas with a B.S. of Economics/Finance in 2004. He recently graduated from St. Mary’s University with a J.D. from the School of Law in 2012. 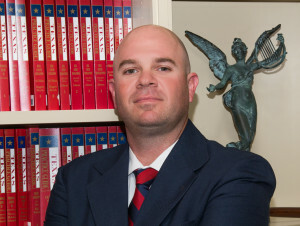 Justin became a member of the State Bar of Texas in 2012 after he passed his State Bar of Texas Exam, as well as obtaining his Attorney Ad Litem/Guardian Certification according to the Texas Probate Code. His areas of law include Divorce, Child Support, Child Custody, Guardianships, Wills and Probate matters and he currently practices in Comal County, Hays, Guadalupe and Bexar County. Justin excels in using his finance and negotiation skills to work closely with his clients and understands the emotional toll a family law case might have on your life. Justin is the Owner and Broker of the Hoffman Real Estate Group, a local Real Estate Company, as well as the Owner of Hoffman Arms, a local firearms dealer. He loves the outdoors and enjoys fishing, hunting, camping and waterskiing. He is a member of the New Braunfels Chamber of Commerce and New Braunfels Rotary Chapter.